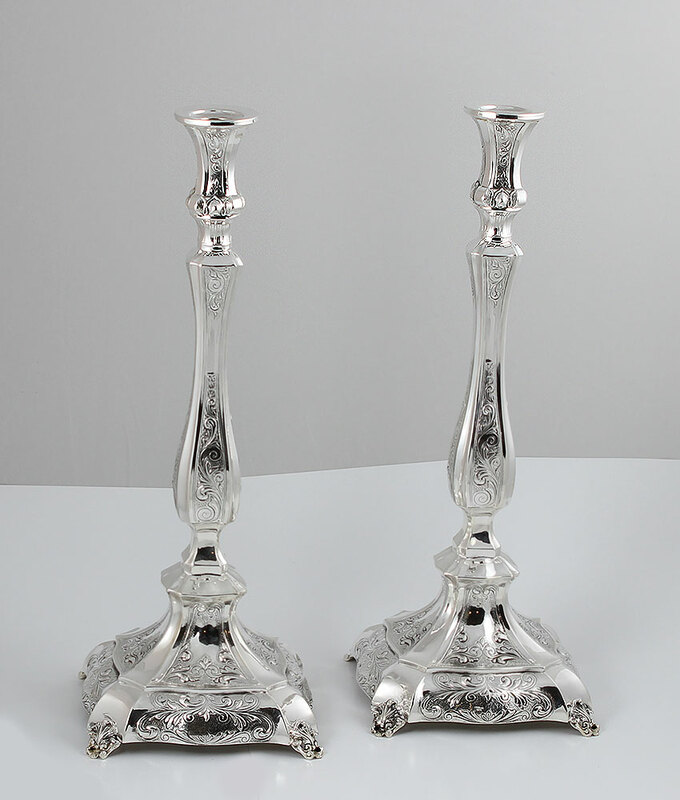 Tall Sterling Silver (all .925) Candlestick Set, with finely designed hand chasing. An impressive set of exceptional beauty and traditional charm. Hand made in central Israel by Yayish Sterling fabricators.